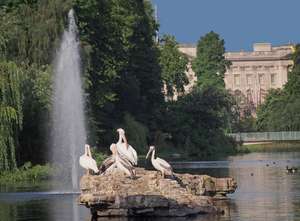 Join us on a tour of Kensington Gardens to celebrate 200 years since the birth of Queen Victoria and her beloved consort Prince Albert. Starting outside Victoria’s Kensington Palace birthplace, we’ll tour the park taking in stories of childhood games, political intrigue and her coronation while still a teenager. During Victoria’s monarchy the British Empire grew dramatically and we’ll discover tales of exploration and adventure, including views now considered dated and questionable. Invention, manufacture and industry led to Prince Albert’s famous 1851 Great Exhibition which changed and influenced the layout of the park as it is today. We’ll end our tour at the spectacular Albert Memorial, Victoria’s tribute to the love of her life.